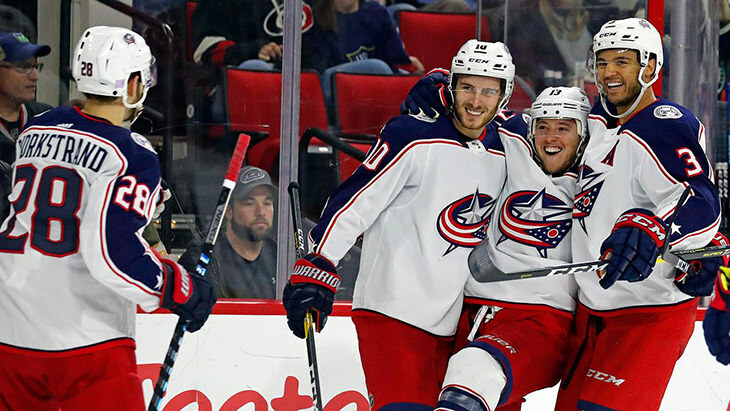 Residing near the basement during the early days of the season, the SC Cobras are now banging on the door of the penthouse suite, a Cam Atkinson hat trick propelling the sizzling snakes into 4th place - a mere 6.8 points shy of the league's top floor. A 24.1 point Saturday likely put a lid on this match, the SC Cobras leading by 15.7 points; the Vaporizing Vipers on the verge of suffering their 5th consecutive loss. The Misconducts and Ice Cats traded 4.0 point Saturdays, the Ice Cats advantage remaining the same 2.0 points skating into a five-game Sunday. The Boulder Flyers continue to lead but they have only one player dressing on Sunday, as such the ripe-for-the-picking birds aren’t exactly skating on solid ice, their advantage a precarious 3.2 points. The Wild Ducks 13.3 Saturday was countered by 17.9 from Concussion Junction, GM Brendan’s giant-killers just one day shy of their 3rd win of the season. The Polar Bears outpointed Badger Bob by 4.8 points on Saturday, GM Elya’s squad moving to within 1.7 points of a tide-turning Grimson division win. The Ice Hogs uncorked 14.0 points on Saturday, GM Henry’s pigs bolting in front of their Probert division rival, their lead a not-so-comfortable 3.9 heading into the final day of Week 7.